As part of our participation in the Google Teacher Academy: New York, all new Google Certified Teachers were tasked with creating an Action Plan. According to the guidelines, the purpose of an Action Plan is to share innovative practices with colleagues in their community and around the world. We had a few benchmark dates - a check in mid-year and a final reflection. 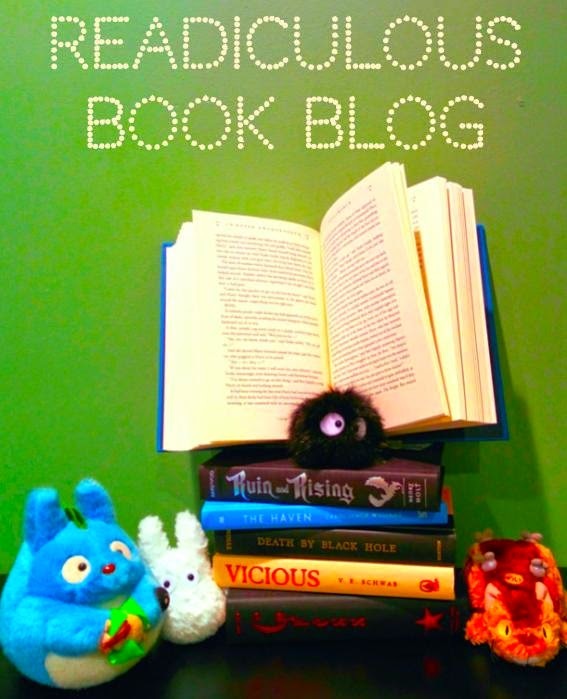 This post (posted on the 2 year birthday of this blog!) is to serve as that "Final" Reflection... though it feels odd to call it "final" as I feel that I'm just getting started. 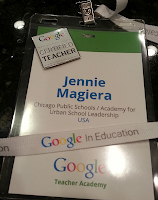 My Action Plan was originally to "Googlize Our Schools". 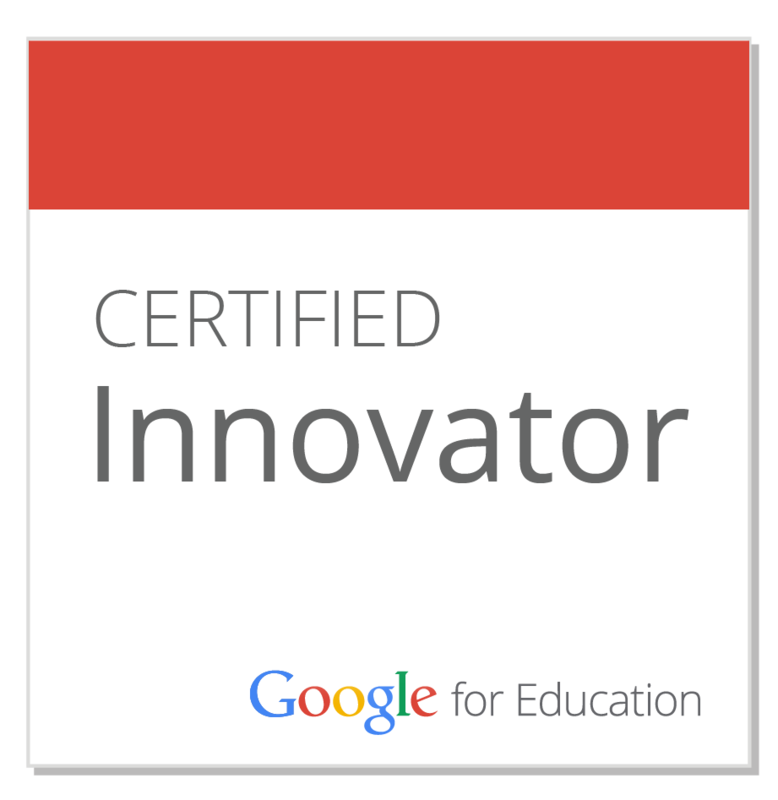 That is, I aimed to leverage Google Apps for Education to increase collaboration, creation and productivity for all students, teachers and administration my network's 25 Chicago Public Schools. Six months later, I'm pleased to say that the action plan has been quite successful! I supported schools in moving to Google Drive as a better means of collaborating both in the classroom and between colleagues in lesson planning. I introduced Google Hangouts as a platform to better facilitate PLCs and grade level meetings. We've piloted over a dozen Chromebook carts, including several 1:1 classrooms. 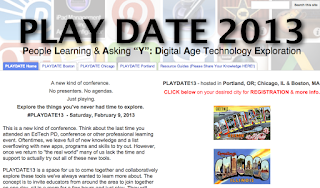 I've created Google Sites for most of our schools to streamline communication. We've begun to employ Google Scripts such as Autocrat, Doctopus and FormMule to automate and improve our daily practices. While these are only a few examples of how we've Googlized Our Schools, this work has been but a slice of what I was driven to do after GTA:NY. 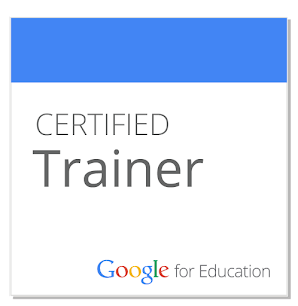 I was also honored to join the next Google Teacher Academy in Mountain View as a lead learner. During this experience I met four amazing new GCTs - Monte Gaukler, Danielle Filas, Lori Ferrington and Ashley Cross. We decided to combine our passion for EdTech, collegial learning and general geekiness to create a yet-to-be released YouTube channel to support our colleagues near and far... stay tuned for more details :). More recently, I was able to revisit an idea generated at GTA:NY. 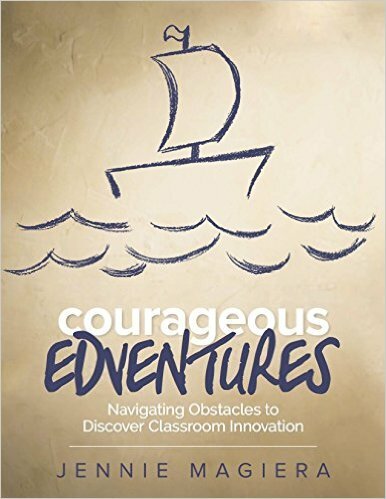 In the second day of that event, during an unconference session about Google Hangouts, I had voiced a concern that while Google Hangouts are invaluable tools, they are often difficult to get set up for some of our more technophobic teachers. 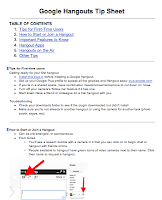 I invited my colleagues at the table to collaborate on a Google Doc to support newbie Google Hangout participants. While everyone was excited about it in the moment, once we all returned home and work/life obligations took over, we set the idea aside. Thanks to some tweets from Amy Mayer and Genevieve Gallagher the project recently got a much needed second wind. 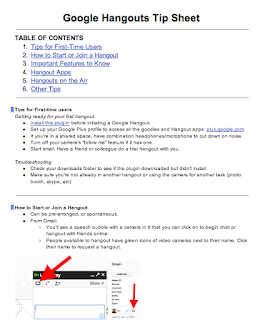 After a few weeks, we were able to create this Google Hangout Tip Sheet! These are just a few of the many mini-action plans that have sprung up since my experience at Google Teacher Academy: New York. While I am constantly energized by these projects and ideas, the real win has been the connections I've made along the way. Monte, Danielle, Lori, Ashley, Amy, Genevieve - and so many countless others - have all been the energizing force behind a lot of what I've been doing. And I wouldn't have known them without the GTA. So what's next on the horizon? Oh so much more... only time will tell. The one sure thing is that I'll be collaborating closely with a colleague met through one of these networks. Today my students reacted to Toy Stories. Not the Toy Stories that feature a cowboy befriending a spaceman... but the Toy Stories by photographer Gabriele Galimberti. Last night I saw this tweet from George Couros: "Photos of children from around the world with their favorite toys [30 pictures] http://bit.ly/WozPlC". I clicked on it and ended up looking through the images over and over again. I had so much questions, reactions and a myriad of emotions. Then I wondered, "What would my students think if they explored these photos?" 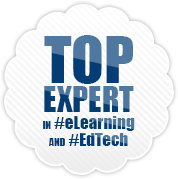 So today, during our Student Innovation Team meeting, I posted this link to our Schoology course as a discussion. I invited students to share their reactions, questions and emotions as they viewed the photos. I asked them to look through them multiple times with different questions in their minds. I started off the discussion by first asking my students to think back to their younger years and visualize their own toys. What did they enjoy playing with? What toys did they wish to have? Where are their toys now? Then we looked at the photos. As expected, the kids were enthralled by the series. They were completely silent for over 30 minutes as they discussed their thoughts, via Schoology. After our discussion, the group shared how intriguing photos could be. 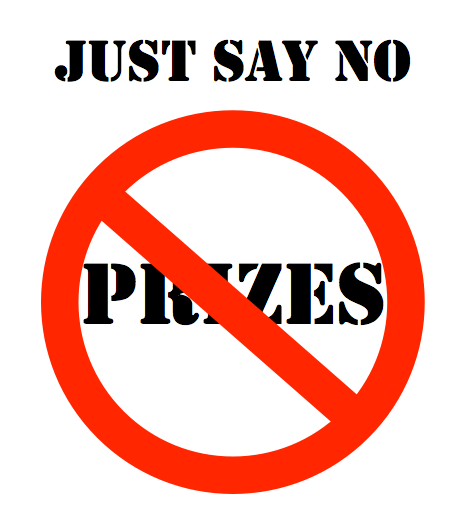 As such, they decided to do their own photo series once we're done with our current challenge. They've yet to focus in on a topic, but ideas/suggestions are more than welcome! KB: It looks like different environments made a difference of what kind of toy each kid has. > BM: Yeah. It is so interesting because they all don't have what we have in Illinois. >> KB: I also saw that I had some of those toys when growing up. >>> TS: Some places kids only had 1 or 2 toys but others had lots of expensive toys. CS: It was weird to see little kids around the world with the toys they have and some of them are poor. So they don't have the same as others. > JM: Why did you think they were poor? >> CS: You could see from their faces and their environments and where they lived and their clothing. You could really just see it. >>> TS: It made me feel so sad to see a child with one toy. But some kids go hoem they have a room full of toys. It isn't fair. >>> CS: Yeah it's just so weird. Because you compare what you see and see what they value and it they value it no matter how much it is or how little. >>>>: KB: Yeah, like that boy from Kenya with one Teddy Bear. >>>>> CS: It made me value what I have more. MW: I could really see the kind of personality each child has and their choice of style by their pose in the picture. >> MW: Also I wonder if that little girl from Egypt likes enchanted stories - all of her toys are Disney characters. >> MW: What do you think like his parents must fight a lot? >>> KB: I think more that his parents don't mind weapons. Like maybe his mother loves to hunt. I don't think it means he's a violent child. >>>> BM: I think he is violent because of that look on his face... he seems so serious and angry. Also also don't think that they fight a lot. I think they might just use violent weapons in front of the boy. >>>>> MW: Maybe that child will grow up to be very protective of his family? Maybe his parents are police officers? >>>>>> JM: Maybe he watches too much violent TV? >>>>>>>KB: I watch lots of violent TV but I don't play with guns like that. 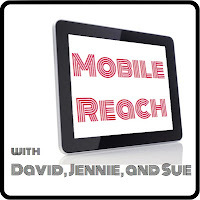 Recently our friends and colleagues Judi Epcke, Tammy Lind and Chad Kafka completed their run as hosts of the EdReach network's Mobile Reach Podcast to create their own show - Teacher Tech Talk. As such, they handed over the reigns of Mobile Reach to some new hosts... myself, Dave Freiburg and Sue Gorman! Please tune in every week to hear us discuss mobile learning, awesome apps and latest mobile device news on this reimagining of MobileReach! We post a new episode every Friday and you can listen in to this new posting or any archived show any time on the EdReach site and on iTunes!